Home » Magazine » National » Hardik Patel, Alpesh Thakor, Jignesh Mevani: Three (Ex-) Musketeers? 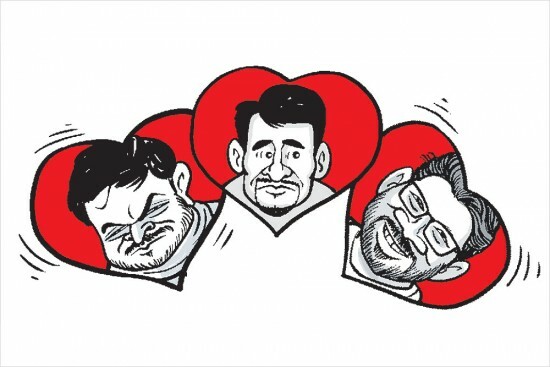 Bhavna Vij-Aurora	March 14, 2019 00:00 IST Hardik Patel, Alpesh Thakor, Jignesh Mevani: Three (Ex-) Musketeers? Three young activists—Hardik Patel, Alpesh Thakor and Jignesh Mevani—had grabbed a fair bit of spotlight before, during and after the Gujarat assembly polls over a year ago, with their oppositional politics creating ripples even beyond the boundaries of their state. Thakor’s appeal may have been restricted to the large OBC segment in Gujarat. But Hardik, as the young spearhead of the Patel agitation, was seen as an iconic face for restive middle castes all over. And Mevani, as an articulate Dalit voice, was creating a kind of natio­nal impr­int for himself. But a lot of those swept up by their rhetoric are a disillusioned lot now—with perhaps the exception of Mevani. Both Hardik and Thakor, 43, are seen as deserters to the cause they once espou­sed. Owing to their mass appeal, they were all wooed by parties. Thakor, who had founded the OBC-SC-­ ST Ekta Manch, joined the Congress bef­ore the 2017 Gujarat polls and won from Radhanpur. But recently, the maverick leader kept the Congress on tente­rhooks and openly negotiated with the BJP, admitting he wants to be a minister. 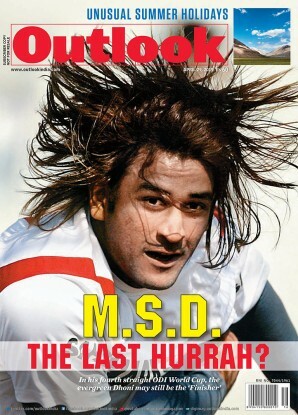 The bigger eclipse in popularity may belong to Hardik, who is 25 now. Too young to contest in 2017, he had kept up a thin veneer of being independent, only consorting discreetly with the Congress. But he has now fallen to the lure of a GOP ticket, and has signed on, trotting out the usual lines about abiding by the party’s decision if “it decides to field me in electoral politics.” Hardik had taken up cudgels on behalf of the Patidar community in 2015, demanding its inclusion in the OBC list, drawing huge crowds with his forceful oratory. The Patidars now say he has aba­ndoned them in favour of a luxurious lifestyle, and moves around in a big car while their lot stays unchanged. Mevani, 36, rose into prominence as he led the post-Una agitation in 2016. He successfully conte­sted the assembly polls from Vadgam as an independent supported by Congress and AAP. The young Ambedkarite has desisted from joining a political party but the CPI’s national headquarters Ajoy Bhavan is his preferred address when he visits the Capital.